I had to do something productive, or I would've died of boredom. I’m trying all kinds of home-made fastfood. Def: Packet food which you have to fry/bake/boil/roast to eat. Basically the kind of stuff you need when you’ve had a long day at work and are too tired to sweat it out in the kitchen. I’ve tried a lot of things from ready-to-cook poha and dhokla to tomato popcorn and noodles of all sorts. Last week, my chatty ten-year-old cousin visited me. She is invariably scouting for ‘new toys’ whenever she comes home. And like most children today, her attention span is as short as a fruit fly’s. Although I enjoy her company but I have to admit that it’s a challenge to keep her occupied and curious at all times. Besides I am always on ‘family duty’ when I’m with her because her mother makes me feed her as she is a very reluctant eater. She hates sweets and does not relish spicy food. 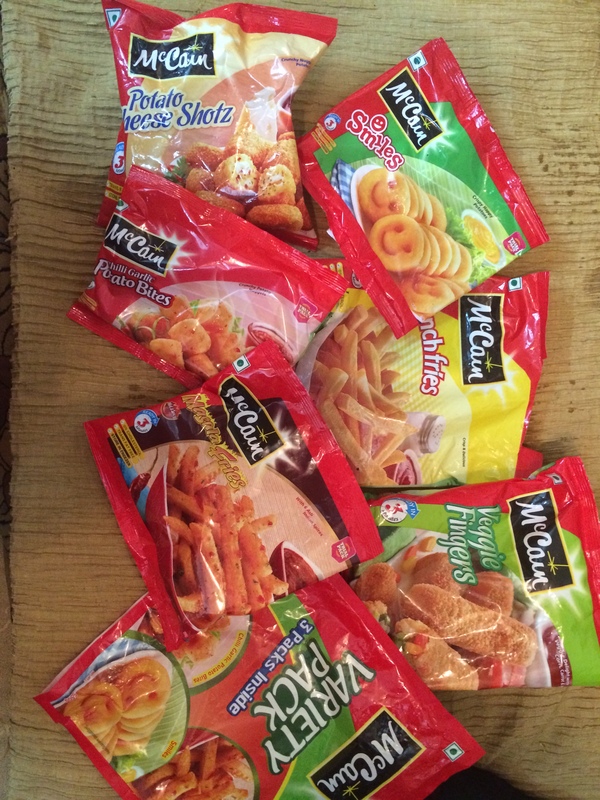 So I decided to experiment and make a platter of the latest product I had bought – McCain snacks. I had planned it all. 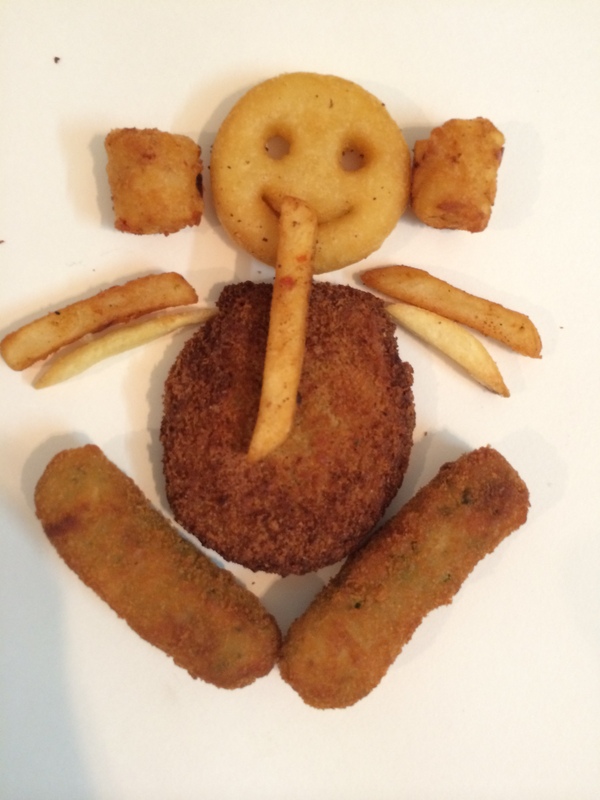 It would be served with fancy cheesy dip and tomato sauce in an attractive Minion plate. But it isn’t easy to impress kids these days! She did not seem happy at all, and insisted that she wanted toys only and was not hungry at all. I left her at the dining table and went into the bedroom to conjure up some ‘toys’ to entice her into eating the brunch, as she had not had any breakfast, except for a glass of milk and it was almost noon. When I returned, she smiled at me, and I felt relieved that she was happy. Interestingly, when I saw what she had been up to, I too was compelled to smile. 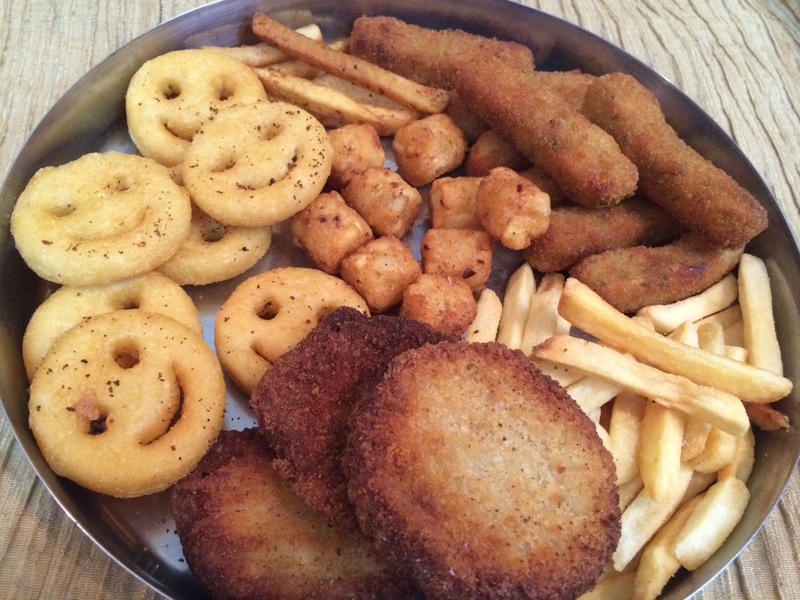 She had made a Ganpati shape, using the different McCain products that I had laid on the platter for her. You have to see the photos below. They’re adorable! I even created a stop-motion video on Vine of a ‘happy’ ganpati. But that was not all. There was also a Raavan (we did it on Dussehra day, so the idea was perfect for the festive season) and two other models that she named as papa and mama. Unwittingly I had brought a smile to her face and she to mine. 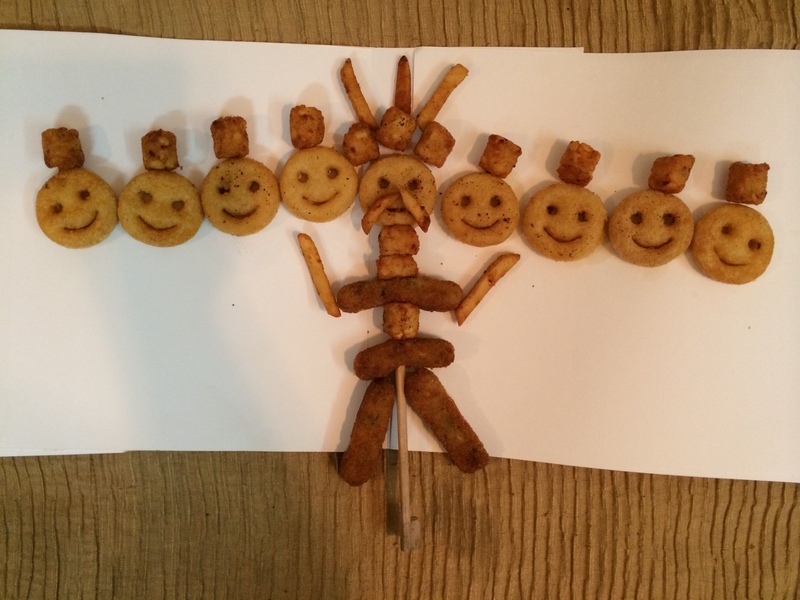 Looking back I just realised that she had made edible emoticons. Pretty impressive eh? She happily ate the rest of the smilies with the cheese dip and made me promise that whenever she came to visit, I should prepare the platter for her. Thank you McCain http://www.mccainindia.com/ for letting me bring a smile to my cousin’s face. A journalist by the day, a secret agent in the night. Virar's Jivdani temple is over a 1000 steps high! Phew.